I’ve been a night owl most of my life and have constant trouble adapting to the sleep schedule of an early-bird-gets-the-worm world. I’m insanely jealous of Templeton’s ability not only to almost sleep at will, but how he seems in perfect peace when doing it. I’m thinking of wallpapering my office with this picture, to help me on those nights when I need the master’s help in drifting off to dreamland. 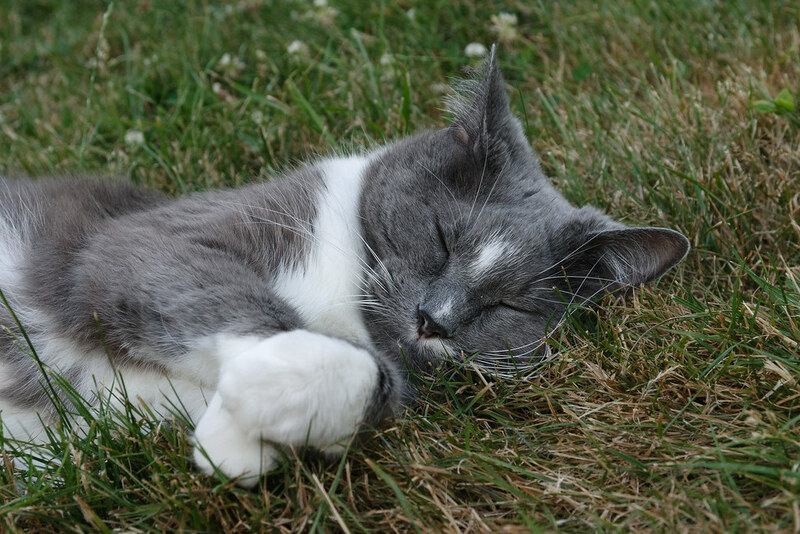 This entry was posted in Pets and tagged backyard, cat, gray tuxedo cat, Oregon, Portland, sleeping, Templeton. Bookmark the permalink.